Deeply saddened we confirm that Fortissimo's company founder and co-chairman Wouter Barendrecht suddenly died on Sunday April 5 in Bangkok, Thailand. Wouter's passing has shocked his family, his friends and colleagues around the globe. His passion for cinema, his vision, his energy and his witty humor will be extremely missed by all of us. On this Memorial website you can share your thoughts and memories with us. On Wednesday May 13, during the Filmfestival in Cannes we will celebrate Wouter's life and achievements. For more information about the event, please contact info@fortissimo.nl. Please respect the nature of the event. To honour Wouter's memory, a foundation has been established. The goal of the Wouter Barendrecht Film Foundation will be to support one of Wouter's key missions and goals during his career and that was to encourage the work of talented young filmmakers. This will be accomplished with award grants to be given out on a yearly basis at festivals that Wouter supported and/or worked at or with during his life. While Wouter loved flowers, we would ask that if you want to honour him, a contribution to the Wouter Barendrecht Film Foundation would be more appreciated and long lasting. Bank: Fortis Bank Nederland N.V.
Account Name: Fintage Collection Account Management B.V.
10 years ago i bought you dinner in venice. you sent me funny emails. you showed me films. i bought a few (IN THEMOOD FOR LOVE will always be one of my favorite films of all time. we laughed about the way certain french people pronounced your name...vooo-terrrr. i saw you in berlin. last month. i cant beleive it. i feel like you are gogin to be in cannes this year and say..ha ha it was a big joke. i am here. lets have dinner. who am i going to make fun of marcus hu with now? im not sure why you were taken from us so early. but i know that while you were here you were loved. and that you are an example of how the nice, intelligent passionate ones - can also be the most respected and sucessful. i will miss you. dear wouter, having arrived late to this statement of condolences, i must say i am stunned, but not surprised at the tremendous outcry of sentiment and sadness which your untimely passing has generated. but, having seen over many years so many people from so many different countries, and different aspects of our profession, i can safely say that you have been one of the most stalwart and professional of them all. you have been a delight with whom to deal, a totally committed individual, an outanding lover of film, and a great person with whom to spend time. you will surely be missed, and i wish to michael, a continuation of this great endeavor which you and he have assembled. Dear Wouter, It's hard for me to accept that I won't be able to see you again in festivals and premiers or to run into you in an AFM shuttle bus… Your warm smile, your admirable taste of cinema, your amusing jokes and your handsome Yohji suit will stay with me forever. We are deeply saddened by the sudden loss of Wouter Barendrecht. Wouter was a dear and wonderful long-time friend of the Jerusalem Cinematheque and of the Jerusalem International Film Festival. We send our condolences to his loved ones and to all his colleagues at Fortissimo Films. He will be deeply missed by us all. Wouter's death has saddened me beyond words. My thoughts are with you at this unfortunate moment. It was a big shock to me and I am sure everyone who knew him. My thoughts go out to Wouters family, close friends, Michael, Nelleke and all the others at Fortissimo. My sincere heartfelt condolences with his untimely passing away. Wouter, with great admiration for your achievements in life and business and gratefulness for the privilege to have known you I bow deeply for your courage, inspiration and sincerity which was present every time we met. For this I want to thank you and will remember you. In this world of film there are not so many people who provide the producers of films with true appreciation and support along with the directors. Wouter along with Michael did this and gave Australian independent filmmakers a home.I expected to continue the dialogue forever and to always find those familiar texts of warm and personal greetings or plans to meet. You were not only loved Wouter but adored. Dear Wouter, I thought that you will always be there to help us to pick up the right film, to see a little further, to discover the new trends and talents. Now, we have suddenly lost your vision. A little more of blindness. It is sad. And I feel like if I am orphan. Good bye Wouter. Deep sorrow. All the staff of the Locarno Int. Film Festival is shocked. And remember Wouter as one of those who never stops to search, dig, discover, with the eye of intelligence and feelings. Fortissimo take in charge our last Golden Leopard: we all were so proud of it. Because we had the possibility to share with him how much we liked PARQUE VIA. Wouter light desappeared like a shooting star. But will always be in our minds. I must admit that I didn't know Wouter that well - I don't have many anecdotes, or funny stories to share, but nevertheless I admired him greatly. I have had the privilege of working with Wouter, albeit from the other side of the world, and this, I consider an absolute honor. To understand that there are those people out there who are so passionate about making movies - it brings tears to my eyes. And this huge outpouring of emotion is just awe inspiring. I can only hope I am the half the artist, business person and individual he was. I was just hoping I would get to make another movie with him, to reap his vision, and share in his passion. That opportunity is now gone, but that spirit is still there - to be shared by us all. Thank you for believing in my ability to contribute. I wish I had gotten to say that face-to-face. There are two certainties in our existence; we are born and we pass away. And in between those two certainties there is time during which we live our lives. Wouter has had too little time to live, but during his time he has lived so well and so intensely. A great example of how we could spend our lifetime. Thank you Wouter. My thoughts are with your family, friends, colleagues and everyone who admired and loved you. May your force be with them. My deepest condolonces to Wouter's family and the Fortissimo team for this terrible loss. Wouter insipired us all with his always present sparkle, his love of cinema and commitment to the creative arts. He is missed and mourned by us all. Dearest Wouter, you are deeply missed but also remembered by all of us! Your true passion for films and filmmakers, your force and joy for life and your legendary tender smile and wit, made you thousands of friends all around the world, but makes even more so your too soon departure devastating. Your memories will remain in every single one of us. My sincerest condolences to your family, colleagues, friends and fans. I promise you to think of you each time I enjoy a movie! And I wish us both that this will happen often. The happiness in his smile once 'Food Inc.' was on at this year's Berlin Filmfest, the warmth in occasion of a private dinner with friends from Jerusalem and Berlin shortly before start of the festival - those are memories, which will remain, images, which will guide. I am one of the few people who have not known Wouter personally, but for my generation he was always a reference. Now, reading about him from many admirable people I met along the way, I see how he made the film world a better place for us all. Rest in peace and have fun up there. I was deeply saddened by the news of Wouter's sudden and premature death. 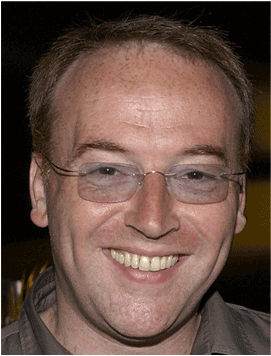 Wouter was a wonderful man and a great contributor to the independent film business. It is a great loss and I will miss seeing him a lot. I send his family and colleagues my sincere condolences for their tragic loss. Wouter was a former student of mine and I followed him all through his amazing career. I was very proud to see him fighting for creative cinema around the globe and for what he has achieved already. Hearing his special voice, exchanges kisses when we met at festivals in the Netherlands always moved me tremendously. I will remember him as a very warm person with a sound bit of irony and a deep committment to his beloved art form, the cinema.